When it comes right down to it, the only choice we have is in what and whom we choose to love. And that’s what marriage is. It is the choice to love somebody with all your heart until one of you is gone. The person may become difficult to love, the circumstances may change, but that doesn’t have to shake our choice to endure the tough times and make the conscious choice to care for and about this person. That’s the theory, anyway. In practice, many of us seem to approach marriage – and love, in general – as something that we somehow just find ourselves in. It’s a state of mind, subject to the whims of circumstance and mood. And it should only last for as long as we enjoy it. Over the years, the institution that was meant to encourage two flawed people to love and minister to one another has become an exercise in getting as much out of the other person with as little hassle as possible. Marge Simpson once claimed, “Marriage is a beautiful thing. But it is also a constant battle for moral superiority.” It’s a funny line, made a bit uncomfortable by the cynicism behind it. 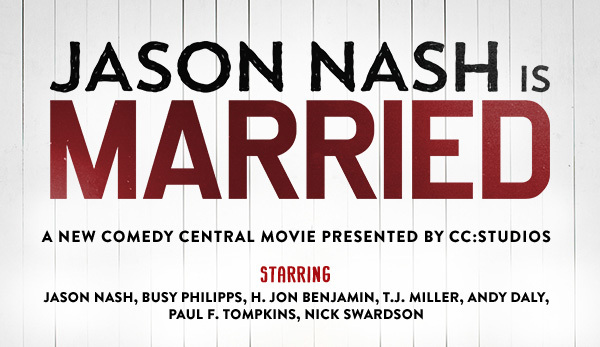 And it is this idea that propels the recent Comedy Central film Jason Nash Is Married from what could have been a standard movie about the inane difficulties of marriage into a full-blown existential exploration of one man’s attempts to get as much as he can, while giving very little. Based on comedian Jason Nash’s stand-up material, web series, and podcast episodes, Jason Nash Is Married features a fictionalized, less successful version of Nash, as he struggles to kickstart his career in comedy. He doesn’t have a job, nor does he have a lot of money. He does, however, have a wife and children. He genuinely loves his family, but not quite as much as he seems to love being left alone. Some people, when responsibility is foisted on them – often in the form of marriage and parenthood – find themselves rising to the challenge. Jason, however, slinks away, avoiding the things he either is unwilling or unable to do, which turns out to be quite a lot. The ironic thing is that Jason considers himself the victim. While his wife takes care of all of their bills and provides general sanity for the family, Jason resents having to go out and get groceries, or change the diapers, or do the chores. He feels like he is being pushed around, simply because he brings virtually nothing to the marriage beyond a massive load of debt. As such, when discussing his philosophy of marriage, he describes it as one person flying high while feasting on the dreams of the other. Clearly, he sees himself as the one whose dreams are being shattered by his nagging wife, and his resentment is palpable. It’s easy to see Jason as the put-upon hero of the film. He’s a free spirit whose inability to cope with everyday worries is just further proof that he’s a creative genius. He’s very likable and charismatic, and his shenanigans are easy to forgive. However, we also see how genuinely manipulative he can be, understanding concepts like power and deceit better than he would appear to. He does seem to love his wife, but is very aware that he would love her more if she was just more supportive (here meaning completely accommodating to everything he feels and desires). And so he spends a good amount of the film doing whatever he can to avoid conflict and get what he wants. In many ways, it is a very fearless performance by Jason Nash, as he has to portray a character with the impulses of a petulant child. He is often funny, but the laughter is bitter, as we know his behavior is hurting his marriage and it’s only a matter of time before it all catches up with him. That Nash can make us laugh and cringe at the same time, all while playing a character that is ostensibly himself, is admirable. There are plenty of actors that have played caricatures of themselves, but those often feel very safe. I can really only think of one other actor who is as willing to let himself look bad as Jason Nash is, and that’s Steve Coogan. Of course, I can’t be too judgmental of the Jason Nash character, because so much of the film hits close to home. While I do have an actual job, my attempts to turn podcasting and film criticism into a full-time job have yielded mixed results, all while my wife’s wedding photography business soars. She makes more money and is better with the general administration of our home. I’ve made progress here and there, but there is no denying that I still have a long way to go. My wife has had to put up with a lot, and I’m often astounded that she has weathered me as well as she has. Indeed, the antics of the Jason character had me getting a bit shifty-eyed as the film progressed; was this me? In a way, this question makes sense. Because the character is all of us. We all want to love and be loved, but are dismayed when we discover that this means work and sacrifice. Since when did love require such things? Isn’t love supposed to be unconditional? If somebody loves us, doesn’t that mean that we never have to change? These questions are at the heart of what feels like a fairly modern view of marriage – the view that says it’s all about self fulfillment – and Jason Nash Is Married follows their logic to the only possible conclusion. 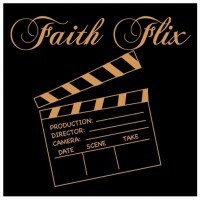 By the end of the film, Jason comes to realize that marriage is, in fact, a two-way street. We are in a unique position to love and minister to our spouses. We do things for them not to get something in return, but because it serves the other person. There should be no power struggles, no battles for superiority. It’s two people tasked with loving one another, and if one person doesn’t hold up their end, it can turn into a very miserable situation for both parties. And as the reality of his actions sets in, Jason becomes desperate. Suddenly, he wants to do everything for his wife that he has spent years avoiding. He wants to listen to her stories and do her projects. He wants to do the chores, not out of obligation, but to show her that she is loved and supported. But it may be too late. The damage may already be done. Like so many of us, Jason wanted it all. He wanted a family to be there for him when he needed them, but he also wanted to be left alone, eventually forsaking the former for the latter. And, indeed, eventually he gets what he thought he wanted. He is alone. And he hates it.